Southern California criminal defense attorney Sean F. Leslie represents persons charged with criminal offenses in the Counties of San Diego and Riverside. 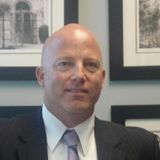 He offers clients facing criminal charges with experienced and trusted advice, as well as aggressive representation. He counsels persons facing local, state or federal charges.